FitKids360 is a free healthy lifestyle program with the ultimate goal of fighting childhood obesity. The program was developed in 2010 by a team of pediatricians, social workers, dieticians and exercise specialists out of Grand Rapids, Michigan. Together they designed a comprehensive program that combines basic education about nutrition, behavior and exercise with a wide range of physical activities. FitKids360 has delivered such positive outcomes they are now working to expand the program to help children throughout the state of Michigan. Fitkids360 provides an effective solution for health care providers seeking a way to assist struggling families who are unable to make changes on their own. By focusing on the physical, behavioral and nutritional aspects of healthy living, the program can help kids and their families enjoy longer, healthier lives. Through a partnership with Health Net of West Michigan and The Grand Traverse Bay YMCA we have offered classes in Traverse City hosted by the YMCA. 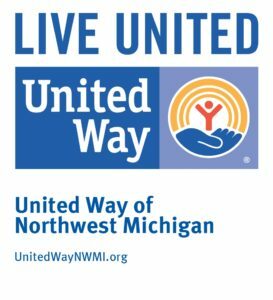 FitKids 360 will be offering classes at the YMCA in Traverse City and expanding into Benzie and Kalkaska counties this spring through a grant from the United Way. More details will be posted as they become available. To learn more about FitKids watch our video below. What are the requirements to take part in the program? What does each FitKids360 class include? Each class can include up to 20 participants and their families. Expert help from local professionals including social workers, dieticians, exercise specialist and fitness instructors. 30+ minutes of exercise built into each class, including games, Zumba, yoga, etc.